i Click 'view all' to instantly compare this good deal with offers on other top samsung tvs. 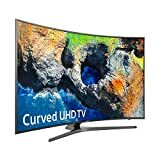 Samsung UN49NU8000 Flat 49 4K UHD 8 Series Smart LED TV 2018 is currently selling at $697.99, approximately $279.87 lower than average, giving a potential saving of $302.00 right now. With a lowest price of $524.99 and an average of $977.86 it is selling on the low end of its usual range. Price volatility is 0.74% (meaning it does not change often), so the price should stay low for a while. Right now this product is a recommended 'good deal'. 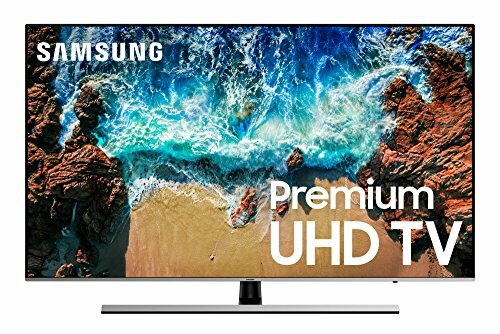 Compare the current price, savings (in dollars & percent) and Buy Ratings for the top Samsung TVs that are closely related to Samsung UN49NU8000 Flat 49 4K UHD 8 Series Smart LED TV 2018. Here is how Samsung UN49NU8000 Flat 49 4K UHD 8 Series Smart LED TV 2018 compares with other leading Samsung TVs. Loaded with features, the NU8000 has advanced smart browsing with voice control, which finds your shows easily. Stunning depth of HDR Plus and millions of additional colors than HDTVs create a breathtaking 4K picture. FeaturesHDR Plus: See movies and shows just as the director intended in stunning high dynamic range.Ultra Slim Array: The Ultra Slim Array dynamically fine tunes the deepness of the blacks, to the brightness of the whites, for a picture with sensational contrast.Dynamic Crystal Color: Discover an expanded world of colors where millions of shades HDTVs can't replicate make all the difference. *Motion Rate 120: Smooth action on fast-moving content.